Since 1998 Philtech Electronics Inc. has helped consumers eliminate the hassle associated with getting a household appliance repaired. Our trained technicians and friendly customer service staff will make your appliance repair experience as pleasant as possible. We understand your anxiety with getting your appliance fixed fast. We try to elevate as may redundant steps as possible. Our goal is to show up, diagnose, repair, and to leave you with a smile. 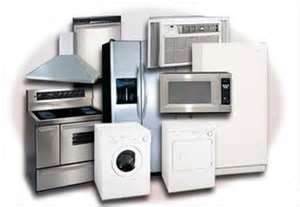 We provide appliance repair service and maintenance on all brands of residential appliances. This includes refrigerator repair, washer repair, dryer repair, as well as repair service for freezers, dishwashers, ranges, air conditioners, disposals, compactors, stoves, heaters, and ice makers.